until 30 minutes from the last sound of Thunder and or vision of Lightning. Generally, rain alone shall not be a reason to suspend or terminate a game, unless it renders the field and playing conditions unsafe for play, (e.g. waterlogged field). Should rain occur during a game, the match will be allowed to continue to the point where playing conditions are considered by the Referee to be unsafe for the players. In these circumstances, the Referee shall advise both coaches about the playing condition and suspend the game. Play may be restarted if the Referee determines that the field’s playing conditions are safe enough, provided this occurs within the scheduled time allocated for the game. In circumstances where lightning flashes are seen within the proximity of the soccer field, it must be remembered that the primary responsibility of the Coaches and the Referee is the safety of the players. Therefore, the Referee shall suspend the game and request that all players, coaches, and spectators leave the field and seek safe shelter. Remember that most teenage Referees do not have cars available to provide them shelter. Please ensure that a parent provides a safe place for the Referee to wait. The game shall not be restarted until 30 minutes after the last bolt of lightning has been seen in the vicinity of the soccer field, provided that the field is in a safe and playable condition. In the event that the game cannot be restarted within the time scheduled for the play, the Referee shall terminate the game and record in the official game report the circumstances for such termination. The Coaches shall contact their Player Director to determine if the game will be replayed. If it is replayed, it shall be replayed in its entirety. You can tell how far away lightning struck by counting seconds between the flash and the thunder. Every 5 seconds equals one mile, so if you count 10 seconds until you hear the thunder, the lightning flash was 2 miles away. Lightning can strike as far as 10 miles away from a storm. When you first see lightning or hear thunder, that is the time to take action. Go to a building or a vehicle. Lightning often precedes rain, so don’t wait for the rain to begin before suspending activities. Get into a building or a hard topped car. Avoid areas that are higher than the surrounding landscape. Keep away from metal objects including soccer goals, bikes, fencing, etc. Immediately get out and away from pools, lakes, and other bodies of water. If shelter is not available, spread out, don’t stand in a crowd of people. . Put your feet together. Place hands over ears to minimize hearing damage from thunder. If you feel a tingling sensation or your hair stands on end, lightning may be about to strike! Immediately crouch down and cover your ears. Do not lie down or place your hands on the ground. 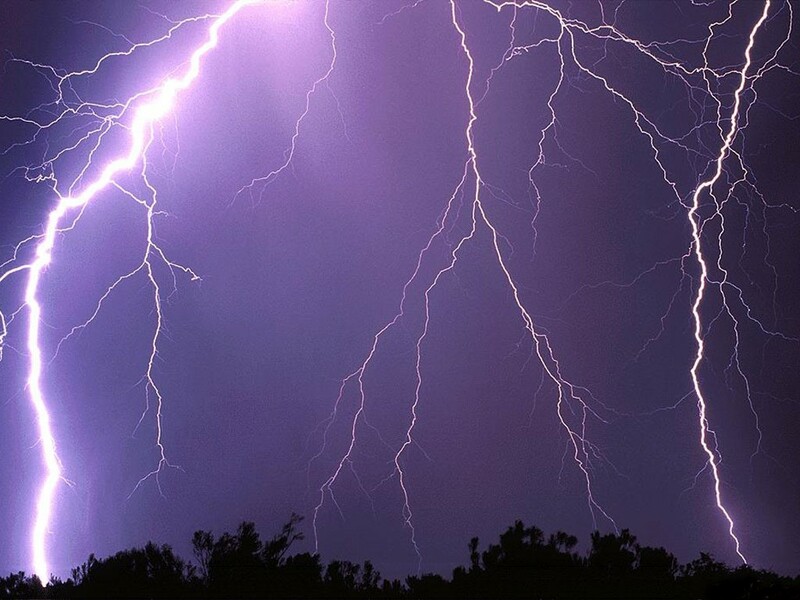 Victims of lightning shock should be administered CPR if necessary, and seek medical attention immediately. REMEMBER – Your primary responsibility is the safety of the players. A game is not worth the risk.